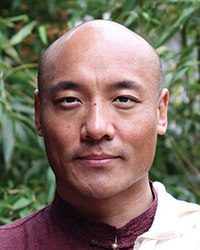 Anam Thubten grew up in Tibet and at an early age began to practice in the Nyingma tradition of Tibetan Buddhism. Among his many teachers, his most formative guides were Lama Tsurlo, Khenpo Chopel and Lama Garwang. He is the founder and spiritual advisor of Dharmata Foundation and teaches widely in the U.S. and abroad. For more information, visit www.dharmata.org. View Anam Thubten's upcoming programs.